Is Life Storytelling the Best Skill to Learn? Imagine, then, if the something useful you learned is based on the subject in which you are an expert — yourself. You know your life better than anyone. 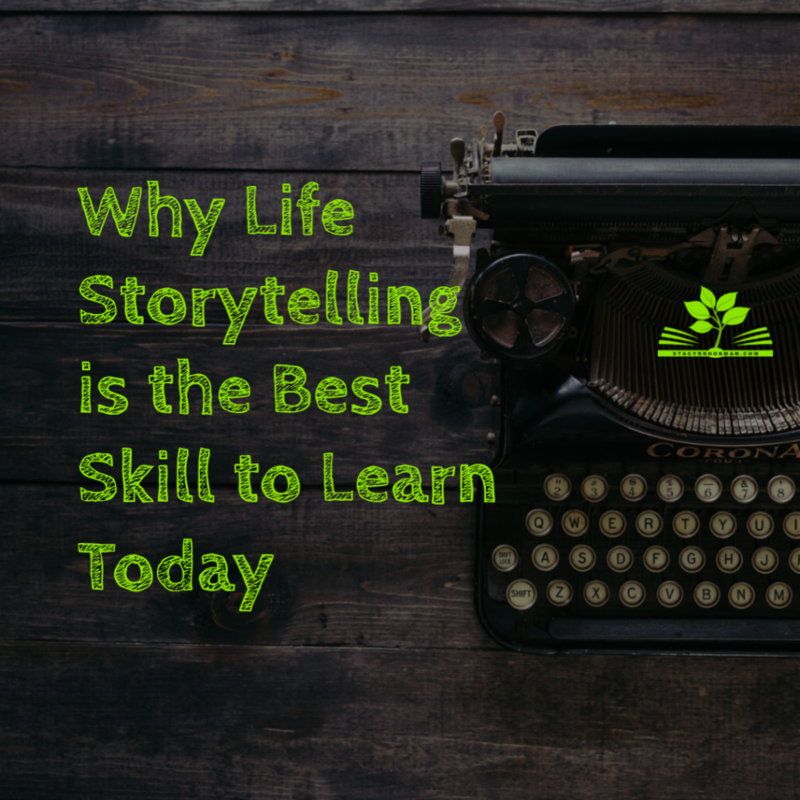 Learning the skill of life storytelling will help you become more comfortable in your own life, improve your outlook, and impact the lives of those around you. While stories are often most associated with young children, life storytelling is a skill that can best bring tremendous benefits for individuals in any age group, at any point in their lives. Learning to tell their stories is a valuable part of a child’s life. Children who are encouraged to tell their stories tend to feel a greater sense of belonging, understanding, and empathy. One study indicates that preschoolers who hear life stories from their parents can put together more detail-rich, complete narratives later in their lives. Another study shows that children who know their family’s history demonstrate greater control, self-esteem, and better behavior, along with overall higher levels of family cohesiveness and functioning. The report from that study shows that clinicians were able to gauge a child’s future well-being and ability to overcome challenges based on the knowledge that child had of his or her family. Teens, especially older teens, have a tendency to believe that they are the only ones who have gone through a challenging situation. Many who have experienced personal trauma or abuse in their families, have been victims of bullying in school, or have found themselves pressured by their peers, though, have discovered that they can make an impact in the lives of others by sharing their story. Teens have made YouTube videos, blogs, and more, telling their stories of everything from the mistakes of texting and driving to becoming world-class athletes. While telling their life stories has the power to shape the lives of their peer groups and other friends, it also gives the storytelling teen a creative outlet to channel his or her interests, likes, struggles, and successes. The personal, internal benefits can be felt whether the teen chooses to share their story or not. Those in their 20s and early 30s find themselves in a rapidly-changing world. Graduating from high school, pursuing a career or higher education, getting married, having children, moving to a new area and truly finding themselves. In this period of uncertainty, transition, and busy-ness, young adults who tell their life stories can feel a greater sense of groundedness and stability. Telling your life story helps you to discover why and how you’ve passed through different and difficult situations. 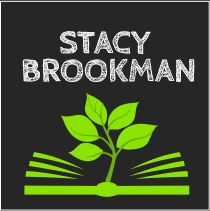 When the world around a young adult is constantly changing and the pressure to make a drastic life change increases, having the consistency of a writing schedule and the freedom to write about personal experiences can offer an escape from life’s demands. Often called the sandwich generation, these individuals are caring for aging parents while still raising their children. In the bustle of serving as a primary caretaker, individuals lose themselves a bit. Learning to tell your life story, though, helps you remain connected to both your roots and goals, centered in who you are and who you want to become. Without discounting any experiences previous generations have experienced, middle-aged adults may find themselves with a greater breadth of life experience without feeling the mental aging; in other words, they may feel much younger than they are, or may feel much older than they are. Incorporating life storytelling helps middle-aged adults identify and address their feelings in a healthy, productive manner. With decades of experiences, and the life stories of their own parents and grandparents, older adults who take up life storytelling can leave a legacy that will last for generations. Even older adults with dementia, Alzheimer’s, and other memory loss have seen benefits from learning the skill of life storytelling, even when the story isn’t wholly their own. Through life storytelling, older adults have successfully managed depression and stress, rediscovered or found purpose in their lives, connected with others, and shaped the lives of their families and caregivers who were able to learn from the wisdom and experience of the storytellers. While life storytelling can provide individuals of any age with specific benefits for their stage in life, it also produces a number overall benefits that will help people from 1 to 100 years old. The mental health benefits of telling your life story are abundant. Multiple studies have shown that telling your life story can help you overcome challenges in your life by helping you find the root cause for your feelings. Once you’ve figured out why you feel the way you do, you can use life storytelling tools to help you address and move forward with your life. Many people who have learned the skill of life storytelling have discovered that they feel an overall boost in their happiness. As they’ve told their stories, they’ve found that really honing in on the challenges in their lives has allowed them to release the pain, hurt, burden, worry, stress, and anxiety that the situations caused. Replacing those emotions with excitement and hope has led to an overall happiness increase. As you tell your life story and look back on the events surrounding the situations of your life, you gain a greater perspective on what has happened in your life. You can see a connectedness and relevancy between incidents that you most likely missed when you were living the situation. Each of these mental benefits shows you one thing: you’ve got grit. You made it through the challenge, overcame the obstacle, and have a greater sense of confidence, strength and resiliency as you continue to live your life. These traits will help you in any situation for the rest of your life. Telling a spiritual story, while not for everyone, is a way many people have found a deeper connection to their beliefs in faith, life, and the future. Also called testimonies, individuals with a spiritual story to share are able to keep their individual experience alive in their memories, which, when their faith wanes, reminds them that there is a purpose for their pain and future of hope and peace. The benefits that come with writing out your spiritual story can be a strong tool to share your faith with others, giving you the ability and confidence to tell others about the belief system you have in your life. All of the mental and spiritual benefits, along with the brain boost you receive from learning a new skill, help to relieve physical ailments. It’s true….life storytelling boosts your immune system. Reducing your stress and tension through writing also leads to fewer headaches and illness, less stress eating, and a clearer mind. You’ll have greater mental clarity and focus and renewed energy. 1. Start by building your schedule to include a bit of storytelling. Everyone from teens through older adults have commitments to their education, profession, family, and organizations. Even children have multiple sports and activities. Start to carve out 10 to 15 minutes each day to truly focus on yourself and your life story. If you’re a parent who wants to start to teach this skill to your children, consider finding times when your child is calm and relaxed. Car rides can open up easy chunks of time to encourage children to talk about their days, feelings, and activities; any passengers who can write can use the time to start freewriting with paper and writing utensil. Determine to make life storytelling the best skill you have (remember, you’re the expert on your life). 2. Get a grasp on freewriting. (Link to article on freewriting) It may feel uncomfortable at first, but freewriting is the act of getting the words out of your head and onto paper. Let the thoughts lead to the next one. Don’t go back and fix your grammar or spelling; instead, address the emotions and trains of thought that arise. 3. Consider taking a course on life storytelling. If you are interested in using your life story to reach other people, sign up for a class that will teach you how to use your freewriting as the base for a polished piece that you can submit for publication and share with others. Consider these courses. 4. Practice your new skill. Just like any other ability, practice makes perfect. Take time each day to write a bit more of your life story. Analyze your thought and writing patterns and take note of the benefits you’re seeing as you make life storytelling an integral part of your own life. Remember, everyone has a story to tell. Only you can bring your unique perspective and experience to the world, and your story might be the key to helping you — and others — heal, build resiliency, and create a new, vibrant future. Take the subject you know best, your life, and learn how to turn it into a skill that changes lives.